These glamorous and classical Ruby color stone stud earrings single are beautifully rendered in precious 14k solid gold with two sparkling Ruby color Stone . So elegant and gorgeous!!! 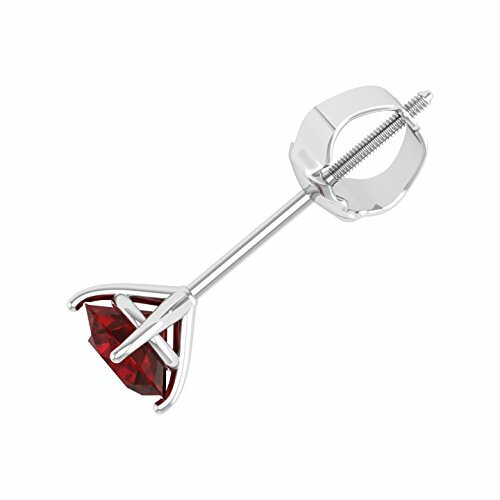 A single of Ruby stud earrings is one of the important jewelry in your jewelry box. The classic and timeless look will go with any outfits and occasions. Its value will also be treated forever. Also available in SINGLE version. It is the best choice for him. Adult Signature Required on Delivery.